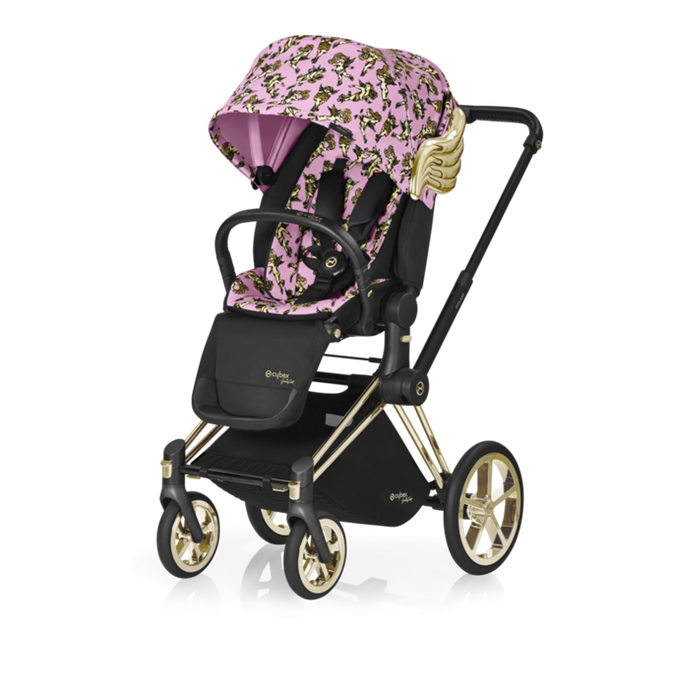 The Cybex Priam is an All Terrain Frame offering a complete 3 in 1 system. The Priam utilises a classic, simple frame with your choice of wheels from trekking, light and all terrain. 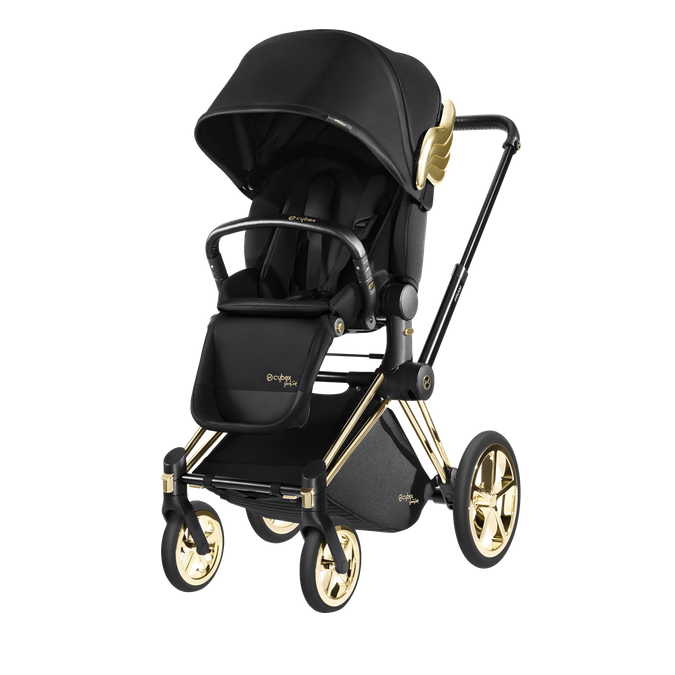 The pushchair comes with Cybex's extra comfortable Lux Seat, as well as optional extras including the stylish and snug Priam Carrycot. 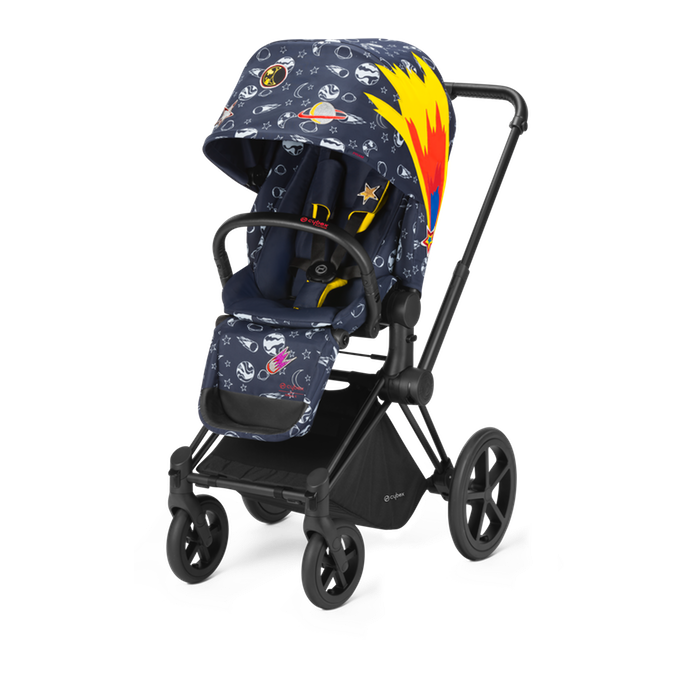 Your little one is sure to be snug in the Priam, with its multi-position recline, seat inlay, padded belts and adjustable leg rest. With a highly positioned seat unit, it makes keeping little one in their pushchair at the table in cafes or restaurants possible, whilst still enabling them to interact with the rest of the family. 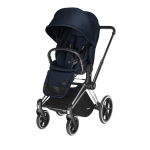 Suitable from birth with carrycot, lux seat or car seat or 6 months with 2 in 1 light seat. Puncture resistant wheels with rear suspension. Lightweight frame. Extendable shopping basket. One handed, free standing flat compact fold. Wide variety of seats, carrycots and car seats making it very versatile. 2 year warranty. .Extra soft memory foam carrycot mattress.Versatile seat unit that can be used parent or forward facing. Highly positioned seat unit perfect for sitting at the table. High-quality leather-like bumper bar opens easily at one side. Padded belts for additional comfort. Adjustable leg rest for your child's convenience. One-hand multi-position recline. One-hand free-standing fold for compact, easy storage and transportation. An XXL extendable sun canopy with UPF50+ sun protection. Extra large shopping basket. Raincover. 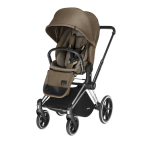 Includes Car Seat Adaptors to fit the Cloud Q and Aton Q Infant Car Seats to form the ideal travel system. 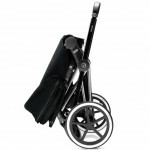 Front lockable, swivel, puncture resistant, rubber, Light / trekking / all terrain wheels. Fashion Collection: Birds of Paradise, Koi, Butterfly. Collaborations: Jeremy Scott wings, Jeremy Scott Cherubs in Blue or Pink, Anna K.
Footmuff. Mosquito net. Changing bag. Parasol. Skis. Cupholder. Kid board. Front wheel adaptor (for Rough terrain wheel option). Snack tray. 2 in 1 light seat. Carrycot. Priam Lux seat. Chassis £510. Lux seats start from £265. 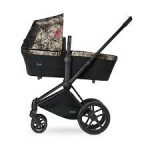 Carrycots start from £225. 2 in 1 seats start from £290. Footmuffs start from £100. Changing bags start from £135. Skis £60. Combination deals can easily be found.